With spring upon us and Easter just around the corner, I wanted to share some easy ways to update your table for the new season! 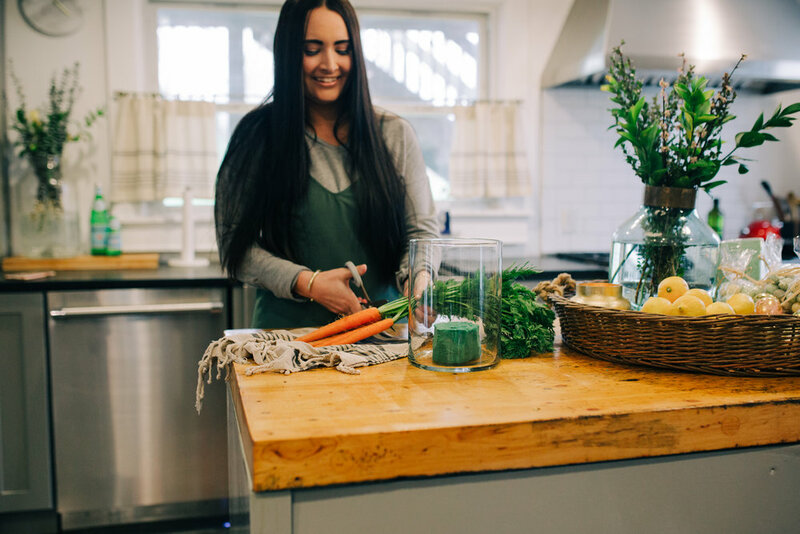 All these arrangements can be made using items from the grocery store or maybe even items you already have in your kitchen or backyard. They are also doable whether you are a floral arranging pro or a total beginner! I’ve put together 3 fun and whimsical spring arrangements that will look so cute on your kitchen island, dining table, or kitchen table for Easter and beyond! You can find a full step-by-step video below demonstrating how I put these together start to finish as well as more detailed written instructions and photos below that. Let me know which arrangement is your favorite and if you decide to try making any of these yourself! Enjoy and happy spring! Cut a small piece of floral foam, soak in water, then place in the center of your vase (the foam should be just the right size to fit the carrots outside of it, around the perimeter of the vase). Grab your carrots and trim the stems off. Rubber band the ends of the stems together and set aside. Line the perimeter of your vase with the carrots, tweaking the arrangement until they’re as straight as possible. Add the stems to the center of the arrangement rubber band side down gently inserting it into the floral foam a bit. 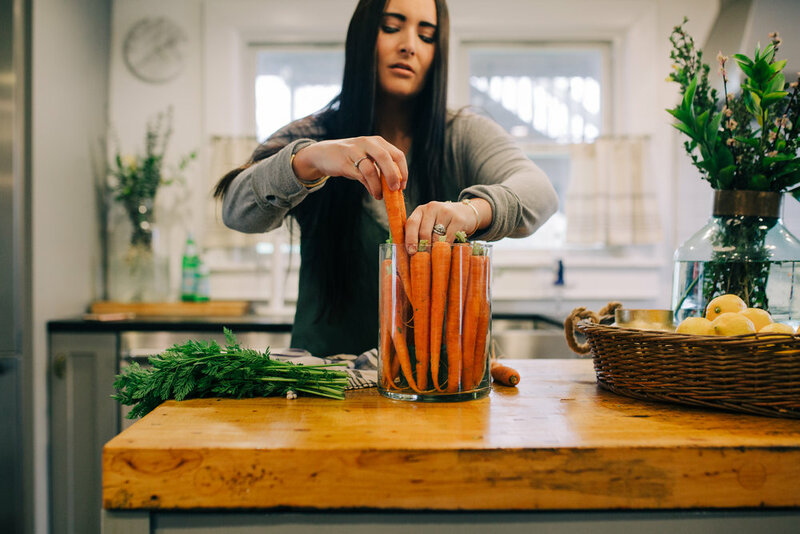 The leaves should drape over the carrots nicely but if they’re too droopy, you may have to trim the bottom of the stems (below rubber band) until you get just the right height. Next grab your flowers and add them one by one to the arrangement. trimming each stem to a different length so you have good variation in the arrangement. 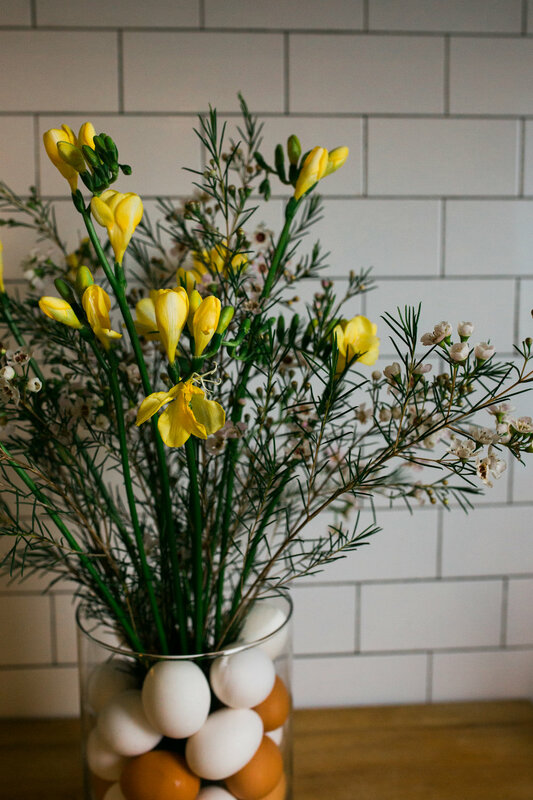 Place your flowers evenly throughout the arrangement to create balance and turn your vase throughout so you can be sure it looks good from all side. 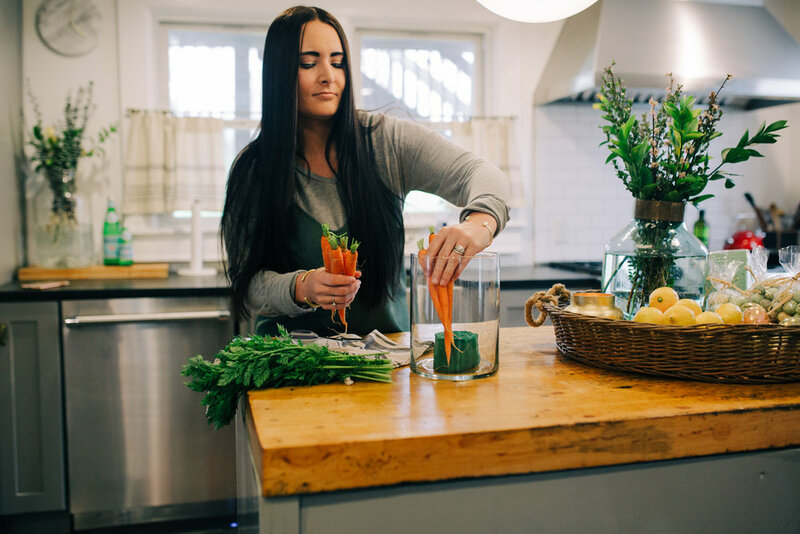 Fill your vase with water 3/4 of the way up to preserve the carrots as well as the flowers. Next start adding your eggs one by one, carefully stacking them around your foam until you’ve filled your vase halfway. Grab your floral stems and carefully add those one by one to the center of the vase, gently inserting them into the foam to secure . Cut each stem at different lengths as you add them to create variety so everything isn’t at the exact same height. Finish adding the remaining eggs around your floral arrangement until the foam is completely covered. Cut a small piece of floral foam, soak in water, then place in the center of your vase (the foam should be just the right size to fit lemon slices outside of it, around the perimeter of the vase). Grab your lemons and start slicing! I tried to get 4-5 pretty thick slices per lemon (you can also use the end slices too). 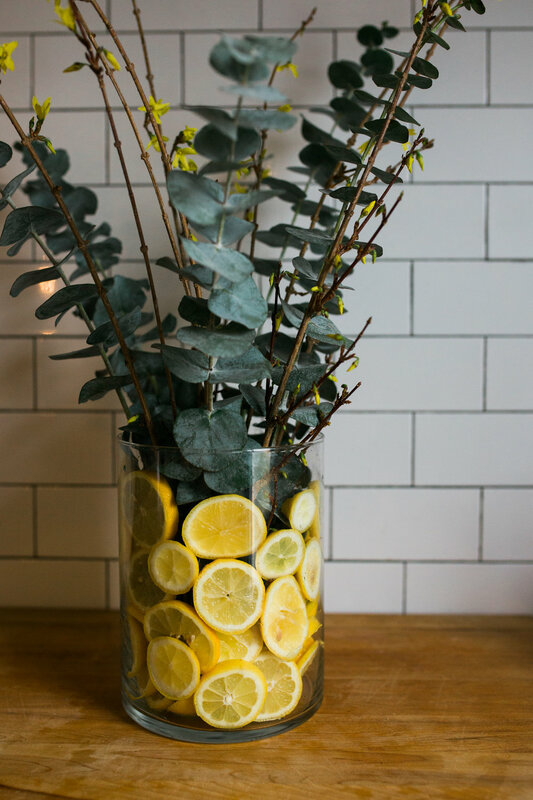 Line the perimeter of your vase with the lemon slices, carefully stacking them as you go. Stack the lemons until the vase is filled halfway. You can overlap them a bit and be sure all the cut sides are facing out if you do use end pieces. Next grab your flowers and add them one by one to the arrangement. trimming each stem to a different length so you have good variation in the arrangement. Place your florals evenly throughout the arrangement to create balance and turn your vase throughout so you can be sure it looks good from all side. I added the eucalyptus first, then finish with the flowering branches. Finish adding the rest of your lemon slices until the vase is full, then add water (about 3/4 of the way up) so your lemons are floating.